Please click on figure to make it larger (original here). Note how gun sales spiked in November 2008, but they were down in November 2009, though still higher than previous Novembers. The same spike occurred again in November 2012, and again the November a year later shows the same pattern -- lower than November 2012, but still higher than all the previous Novembers. 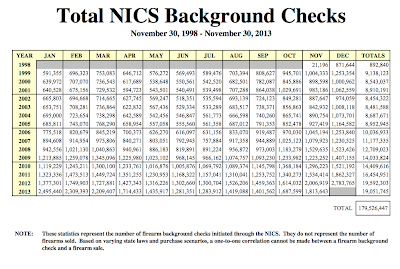 The pattern seems clear: Obama wins election and there is a very large temporary increase in gun sales. 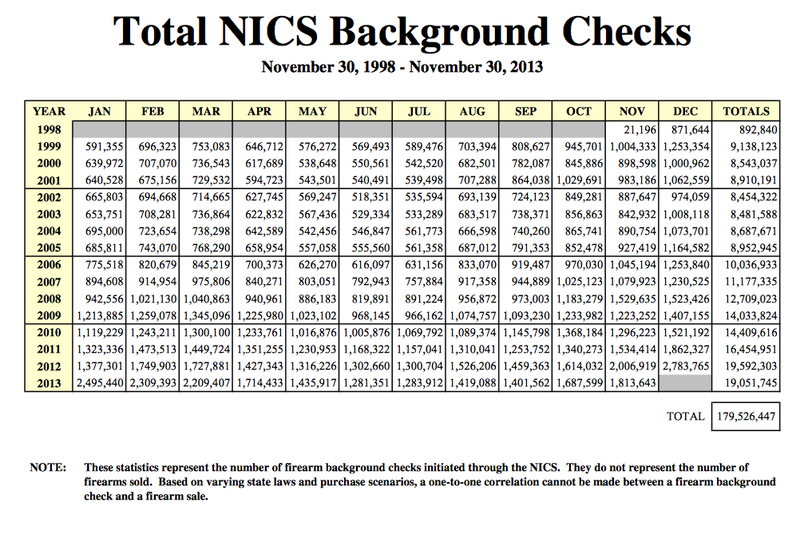 Gun sales remain high a year later, but down from what they were right when Obama was elected.